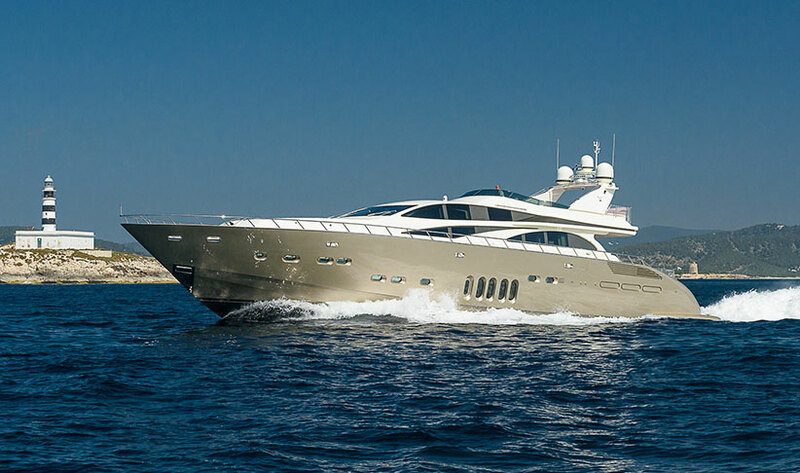 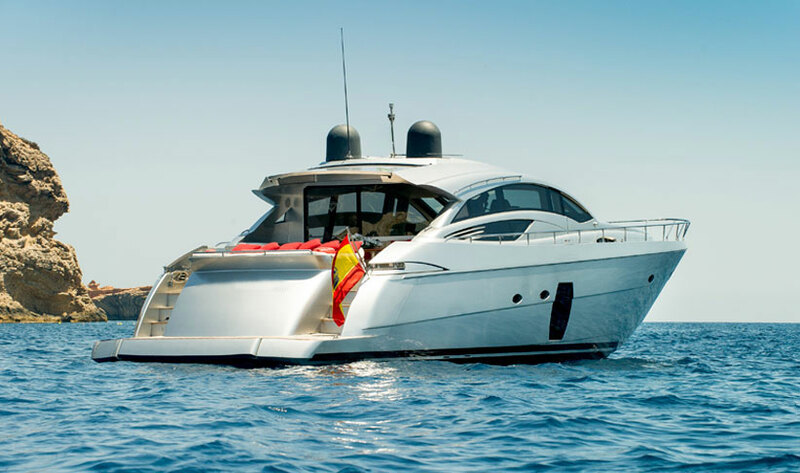 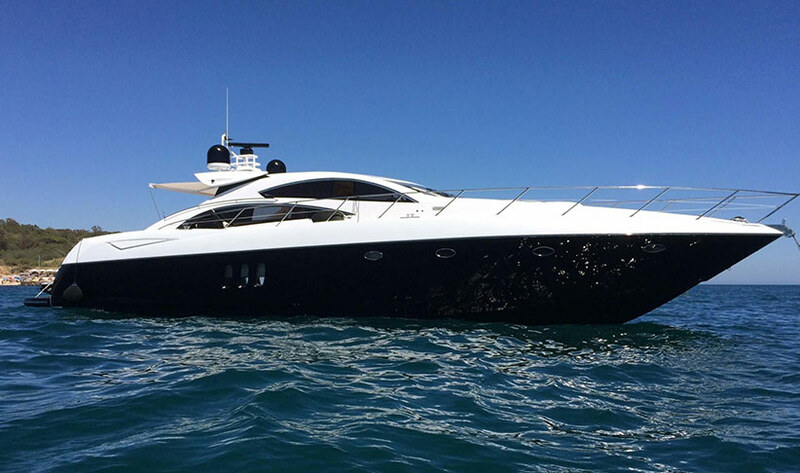 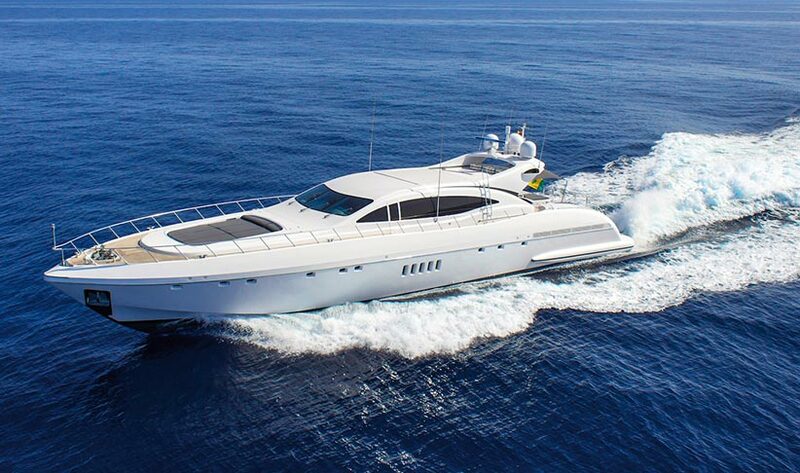 The aggressive straight lines of the Dalla Pieta 72 give this super-yacht a powerful, luxurious and gorgeous look, but it's the details that make this boat a fantastic charter boat for your holiday in Ibiza. 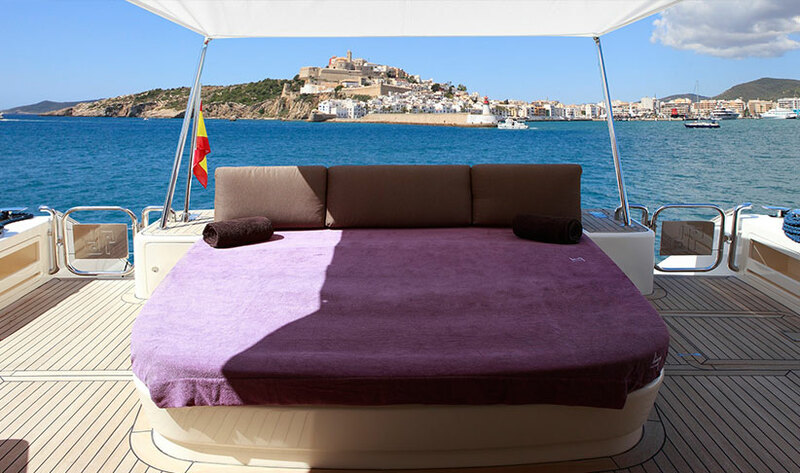 The modern design, high quality furnishings and carefully considered layout, ensure there are many lounging options and places to retreat and a sound system throughout making sure you are all on the same Balearic beat. 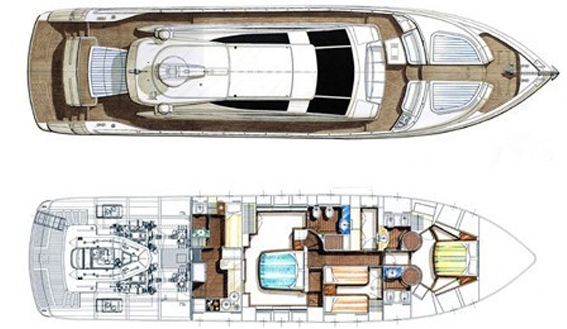 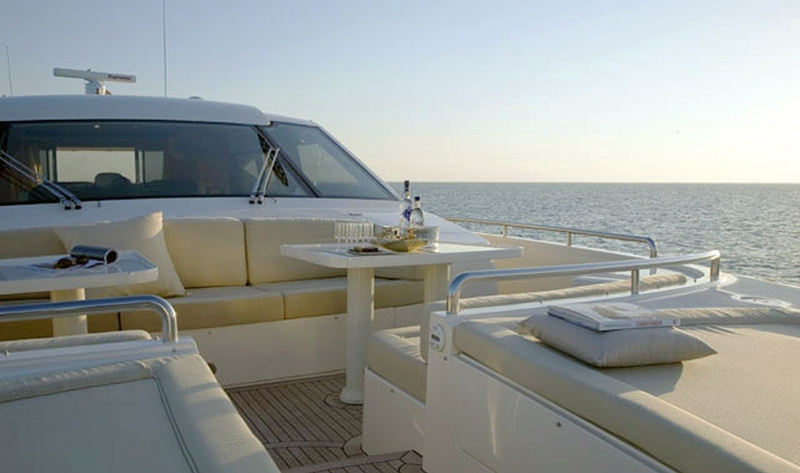 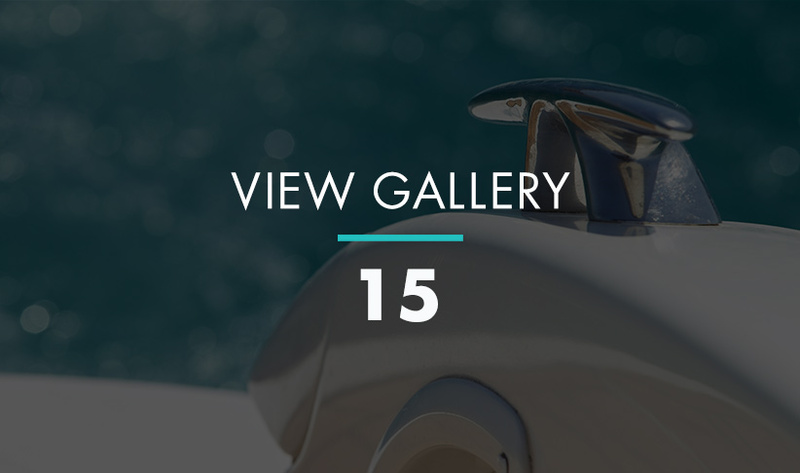 The foredeck has a large lounge area and solarium as well as a sun-shade, should you need it. 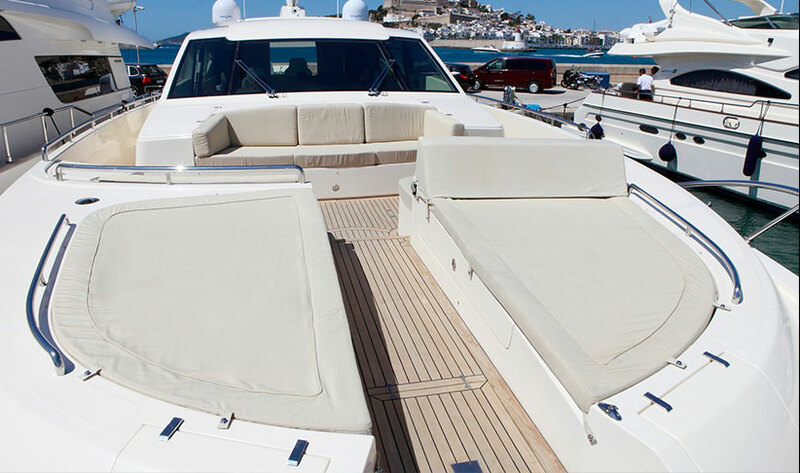 While the aft deck provides a far more intimate lounge area, complete with a dining table to enjoy some of the finest Mediterranean cuisine on offer, as you gaze across the water at the views of Formentera. 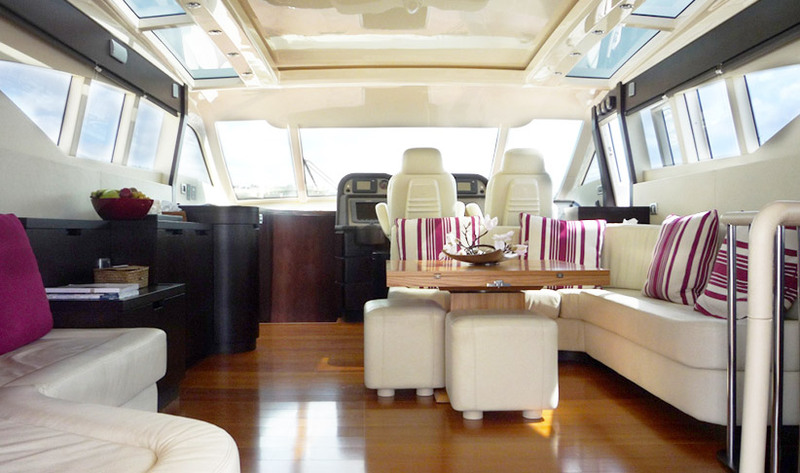 The large, modern saloon, with bar is a natural choice for relaxation and when the sunroof is open the stargazing opportunities are endless. 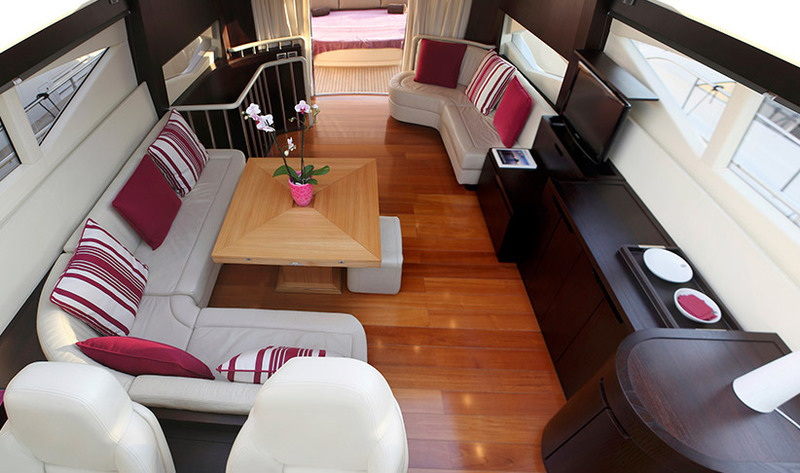 Accommodating 12 guests and sleeping up to 8 guests overnight plus 2 crew members. 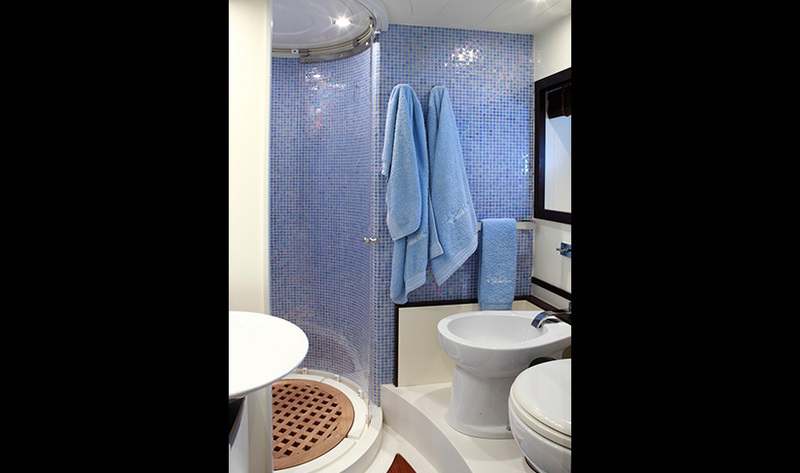 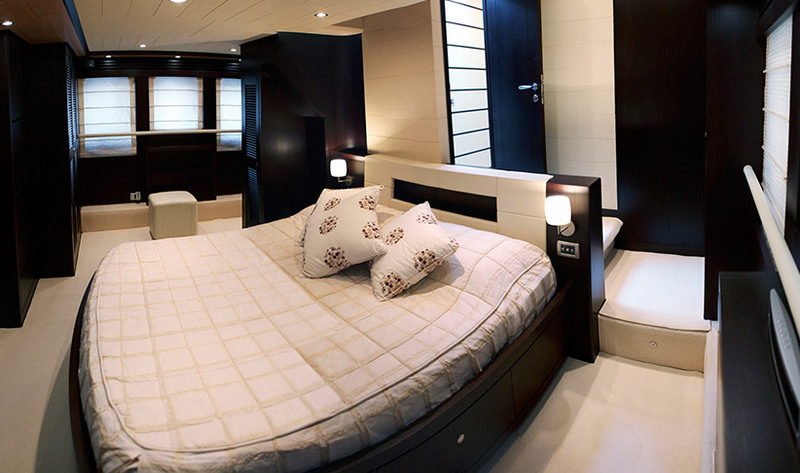 All cabins are en-suite with a TV/DVD and latest technology sound system.In the master, you will find a double bed and **an onboard safe, to store jewelry and other valuables. 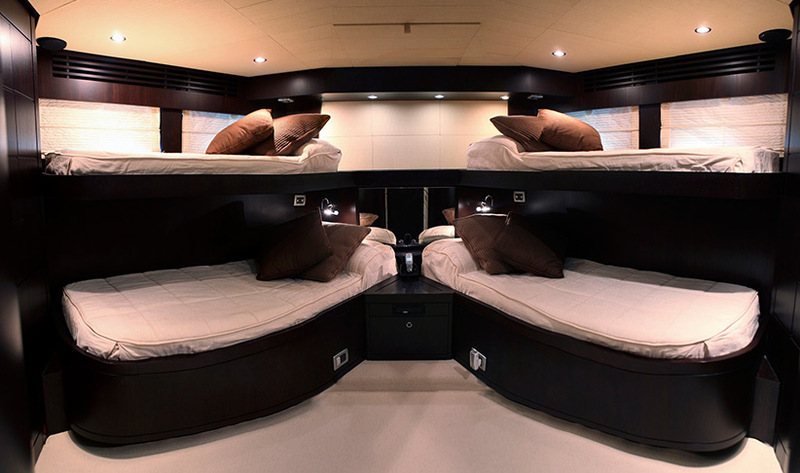 The VIP cabin has two** twin beds and there are 4 single beds in the guest cabin. 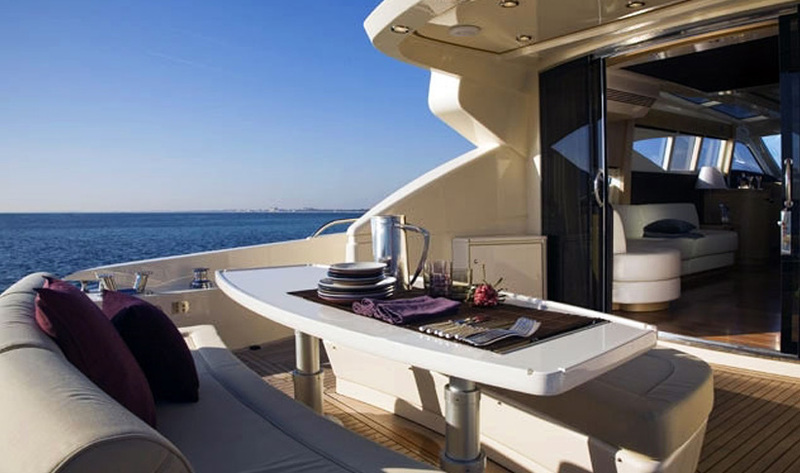 There is also a fully equipped galley with washing machine on board. 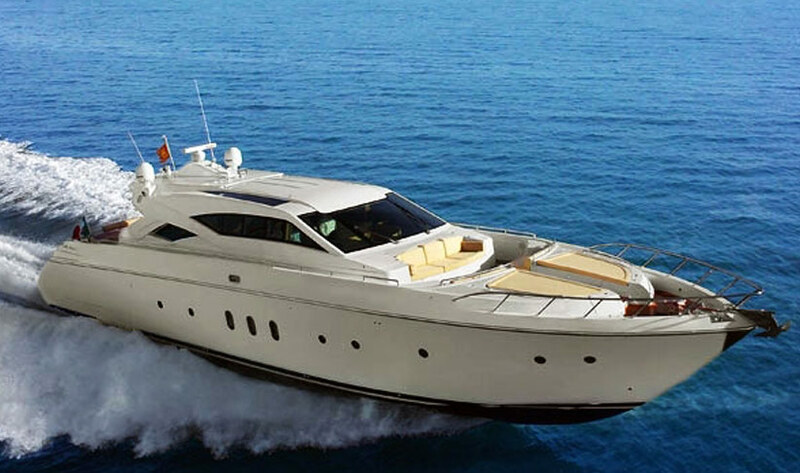 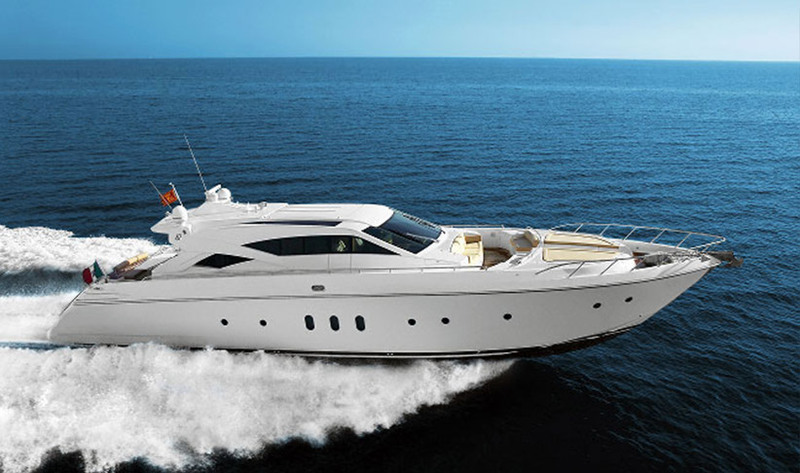 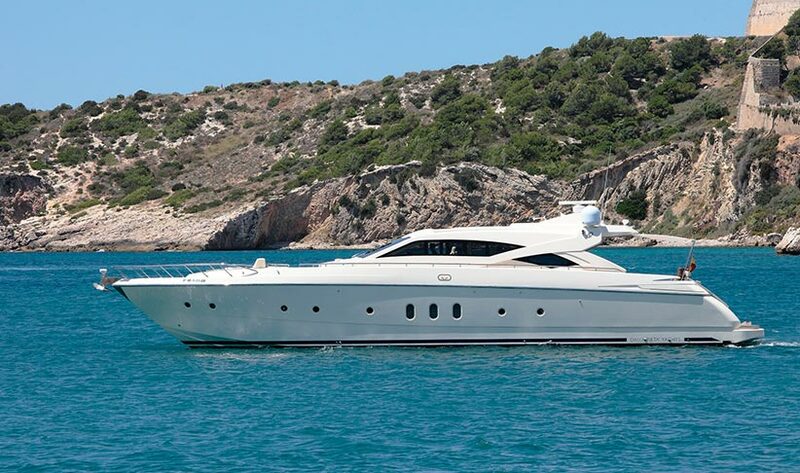 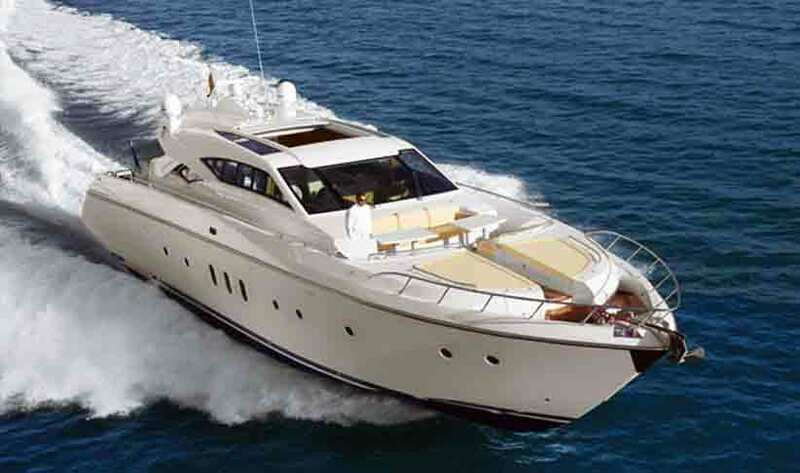 NOTE: Guide prices are per day including mooring in Ibiza, captain and hostess, excluding fuel. 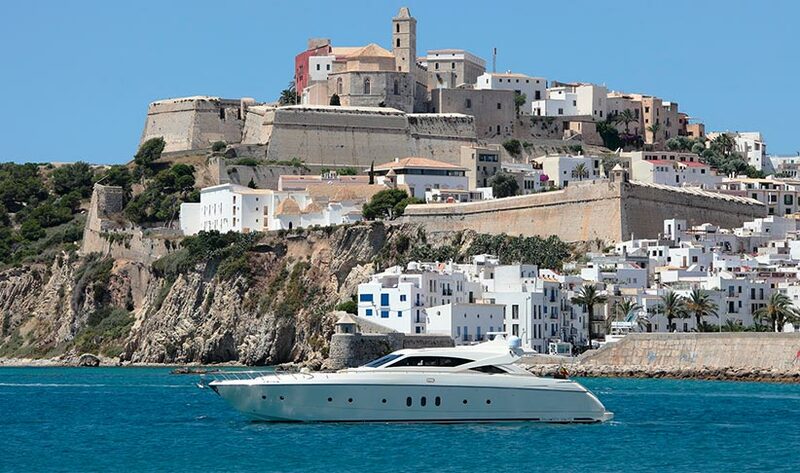 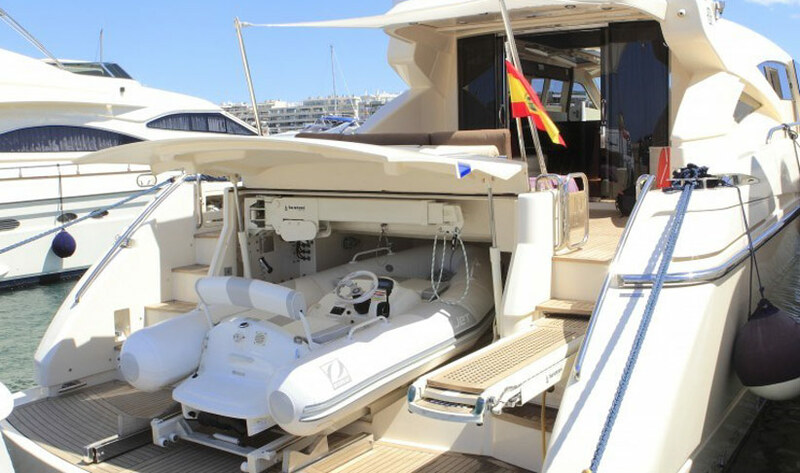 NOTE: Guide prices are per week including mooring in Ibiza and captain and hostess, excluding fuel.